That Curly Horses Can do it all and are Hypoallergenic..... Curly horses come in all sizes, from mini pony to mid sized to part draft. They also come in all colors as well as all coat types. From tight curls to marcel waves to smooth coats. They excel in all disciplines including Sporthorse, Dressage and Jumping, Western sports, English, Endurance, Trail and Gaited Pleasure, Driving horses and ponies/minis. Curlies have that can do attitude and like to work. Curlies are hypoallergenic for many people that have horse allergies. Allergies to horses vary in intensity, so one Curly may be better for you than another depending on your allergy. It is always best to visit a Curly in person to see if you have an allergic reaction. Go to About Curlies to learn more. Looking for a specific type of Curly? 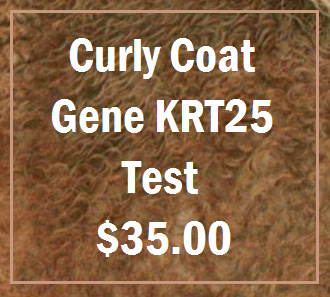 Find a Curly breeder: ICHO Curly Breeders and set up a time to visit! Scroll down to see entire page. You can also pause the slide show, just move cursor over top. See our Classifieds and Gazette Ads if you are looking for a Curly horse. Annual yearly membership effective Jan 1 thru Dec 31. If you are a new member pay OCT 1 and get the rest of the current year and all of the next years membership! 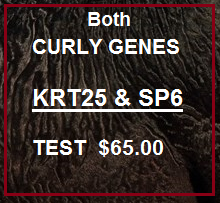 The Curly Coat Gene KRT25 & SP6 mutations have been identified! Thank you to all Curly owners who supplied Curly samples through the many years. Thank you to Dr Gus Cothran and the French Research team and all the French owners that supplied samples. Thanks To Mitch Wilkinson for his work in finding remote samples. We could not have done it without all your help and cooperation. A special thanks to Sandy Hendrickson for starting the genetic research so many years ago and to all our former and current Research Directors at ICHO. You helped make this all possible. 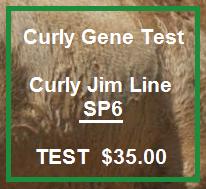 Current research done by ICHO and Dr Cothran has verified SP6 as the Curly Jim Curly Coat gene! German researchers found this SP6 gene while Dr Cothran was also working on identifying the Curly Jim gene. Testing for SP6 is now available, as is testing for both genes! 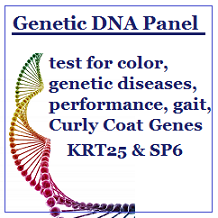 Testing thru ICHO's Genetic DNA Panel helps you know what your breeding Curlies carry and pass on. Thanks for your tax deductible donation, print your receipt when finished for tax reporting purposes. ICHO GAZETTE is now ONLINE for Public Viewing! ICHO Gazette for public viewing! Winter Issue- Dec 15, Spring Issue- Mar 15, Summer Issue- Jun 15, Fall Issue- Sep 15. ICHO 2019 Curlies Calendar is Now on Sale! Thanks for another great calendar Sheryl & members! Be a part of the Calendar cover Photo Contest! Submit a photo for $2.00 each that is not part of the calendar pages. Go to PAY Online Calendar Fees for prices and payment. 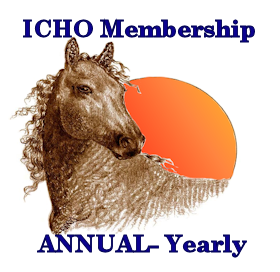 SPECIAL offer for current ICHO members! NEW~ Seals for ICAMS Approved and NACHIP inspected Curly Horses. These seals will be placed on your registration certificate if your Curly is NACHIP inspected and/or Approved for ICAMS. Please go to the INSPECTIONS page for more details and lists of horses NACHIP inspected and ICAMS approved. The Submission form is also there. The Great Horse Breeds Book now on sale! This is a very well done breeds book featuring our ICHO Curlies too! The winners of the book photo contest are featured. This book makes a great gift too, you won't want to miss it. Retails for $29.95, on sale now for $25.00 plus $5.00 Priority shipping through ICHO. Get your copy today! The best way to contact me at the office is by email or snail mail. You can also use our contact form on this webpage. My phone service is by cell phone only and I live in the Sierra mountains so my phone service is not always reliable. Sorry for any inconvenience. If you do call please leave a message. Would you like to help a Curly in need? Visit the Curly Horse Rescue. Click the Logo to go to their website. Want to find a pedigree on a Curly? 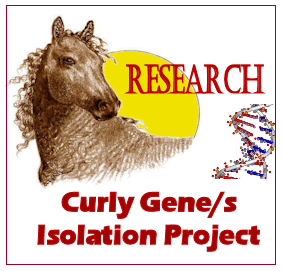 Try the Curly Horse Pedigree Database. Not affiliated with ICHO, it is a user/owner entered database.